Models include PTF threads, hand wheel adjustment, and relieving diaphragm. A gauge is not included. 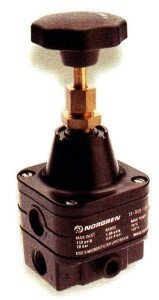 Operating Pressure 8 to 150 p.s.i. Operating Temperature 32 to 160 deg f.